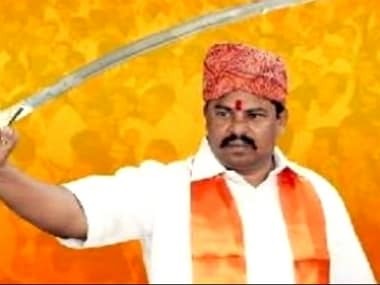 BJP MLA Raja Singh Lodh, known for his controversial comments is the sole torch-bearer for the Bharatiya Janata Party (BJP) in the Assembly as all other party candidates lost in the 7 December Telangana polls. 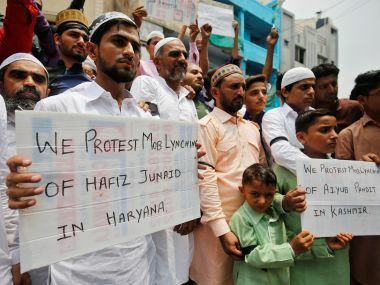 Singh, while campaigning for Telangana elections last month had challenged AIMIM chief Asaduddin Owaisi’s brother Akbaruddin to a streetfight. While speaking to India Today, Singh challenged the Chandrayangutta MLA to a street fight and said he would not stop fighting him “till his severed head is under his foot". He had further said that he did not require votes of those Muslims who weren't gau rakshaks (protectors of cows) and won't say 'Bharat Mata ki Jai'. 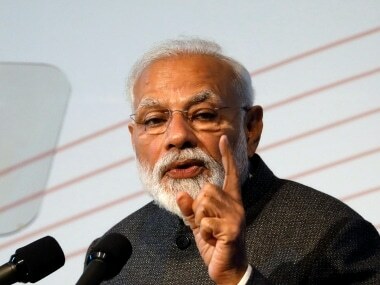 In July, he was in the spotlight for saying that incidents of lynching will continue in India unless cow gets status of 'rashtra mata' and a law is introduced against the animal’s slaughter. Singh said, "The Parliament should pass a bill for the protection of cows and cow should also be declared as 'Gau raj mata'. Then only such incidents will stop." Earlier, a police complaint was filed against him for giving a hate speech. The Hyderabad MLA had said that he would behead the ones opposing the construction of Ram Mandir in Ayodhya. "Some people are saying that they will create a ruckus if Ram Mandir is built in Ayodhya. I welcome the ones who are warning them of dire consequences. We have been waiting for years to behead such traitors," he said. He had also once sparked controversy by saying illegal Bangladeshis in Assam must be shot if they refuse to leave. In another statement, in May this year, during an interview to a news channel, Singh stated that Old City of Hyderabad is mini Pakistan. "I don't think I have said anything wrong because if any terrorist activity takes place in any part of the country, the terrorist is arrested from Hyderabad. Recently also few notorious terrorists were arrested from there. So, what should we call it?" asked Singh. He said that he has raised this issue a number of times in the Telangana Assembly but the chief minister never took the matter seriously. Singh previously courted controversy when a case was registered against him in 2016 for his remarks defending the attacks on Dalits in Gujarat's Una and supporting the cow vigilantes involved. "I support the beating (up) of Dalits who slaughter cows to consume its meat. It is apt. I also support those who taught them a lesson," Singh had said in the video. In Telangana, the ruling Telangana Rashtriya Samithi (TRS)'s gamble of early elections paid off with the party scoring a landslide 4/5th win getting 88 seats out of 119 at stake. BJP's Telangana state unit president K Laxman and floor leader in the dissolved Assembly Kishan Reddy lost in Musheerabad and Amberpet segments respectively. 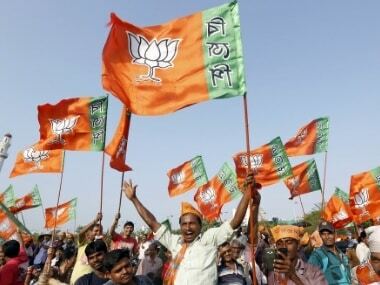 The BJP contested in 118 Assembly segments out of the total of 119, leaving one seat to its ally, the Yuva Telangana party. 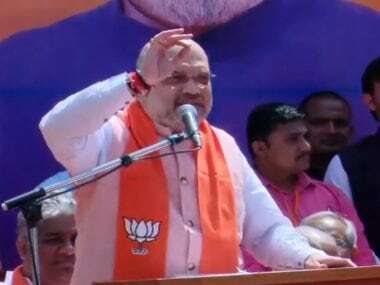 Seeking votes for change and claiming itself to be the alternative to TRS and Congress, the BJP had conducted a high octane campaign with a galaxy of top leaders, including Prime Minister Narendra Modi and party president Amit Shah, canvassing in the state. BJP had five MLAs in the previous Assembly. The party contested the 2014 Assembly elections in alliance with the TDP. In a statement, Laxman said that the BJP accepted the people's verdict and that the Modi government would extend all help and cooperation to Telangana for its development.